First of all you need to set the mood and pick out the inspirational piece. If you are thinking about having a large canvas for a room in your house think about what your room is like when choosing outfit colours. If it's a group portrait then probably the most important person in the group portrait will be the mother so choose that outfit first of all. Then pick out some basic colours that tie in with her outfit. Lay all of the clothes out on the bed in good light and check that you're happy with your decision. Then add a statement piece like a hat, a large piece of jewellery (good size bracelet or necklace) or coloured shoes. Make sure you are all comfortable in the clothes you choose. Wear clothes that fit properly and something that doesn't make you self conscious. Wear lots of layers as they give texture and interest to the photograph plus they are easy to take off and put on again for different wardrobe changes. (tee shirts, buttoned shirts, jackets, scarves, hats, gloves, denim etc. Even jeans are easy to dress up with different layers of tops. Ladies just remember that tighter fitting clothes are better for photographs than loose and floppy ones. If you're having a family portrait taken remember that the children won't like having to change into many different outfits. So layering is a great idea. Different textures work really well and give depth and interest to a photograph. Don't choose bold patterned prints as they will become the focus of the photograph rather than you! The more simple the print the better. Solid colours work best as patterns can be too busy. They also work great when you require your photographs in black & white and are very flattering. Did I tell you yet that black & white hides lots of those wrinkles as well. Dark colours will make you look thinner but remember that you also want contrast in your photograph. You don't want to blend into the background. Don't have the whole outfit in dark colours as that will make the photograph very boring. Please use black sparingly! If there are just the two of you being photographed you can pick a few basic colours that are very similar in each others outfits. Those accent colours don't have to be the same ...just similar tones. 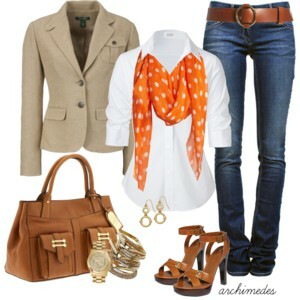 Most people prefer to wear something that is casual to dressy casual rather than the latest trend. You don't want your photographs to look dated in 20 years time. Though when it comes to girls especially little ones - they just love getting all dressed up. If you're wanting photographs for a LinkedIn profile or for business then a formal suit or dress is more appropriate while a Rock the Frock/Cherish the dress session are all about wearing a very formal dress in a rural setting. It's best not to wear clothes that have large logos as they will become the focus of the photograph rather than you. Shoes and boots are incredible accessories and can really show off your personality. Just don't let your children wear those colourful character trainers for portrait sittings. Those trainers never look good on a portrait! If it's an on-location portrait session then you'll need some flat or sensible footwear for walking to the location ...just carry the killer heels to the location! Statement jewellery like a large bracelet is a great way to express yourself through some of your photographs and colourful or necklace will bring a little more colour to your face. If you're wearing layers then peel a few away and put the jewellery on with a very simple tee shirt or jumper. Your jewellery will become a highlight in the photograph and express a little bit of your unique personality. Funky hats or a coloured hair accessory are wonderful too! Wear heavier make up that day. Add another layer of mascara to your eyes as it's good to have your eyes stand out in a photograph. Don't wear high gloss lipstick as it will reflect the light too much. Bring your make up with you especially some powder to counteract the shine on the skin. Lip balm is great for everyone to wear for the photography portrait. It keeps the lips from looking too dry and doesn't leave a sheen. Make sure your nail polish co-ordinates with your outfit and that it's a freshly painted layer. Otherwise chips will show on your photograph. If you're wearing open toe sandals make sure that your toe nails are painted the same colour as your finger nails. 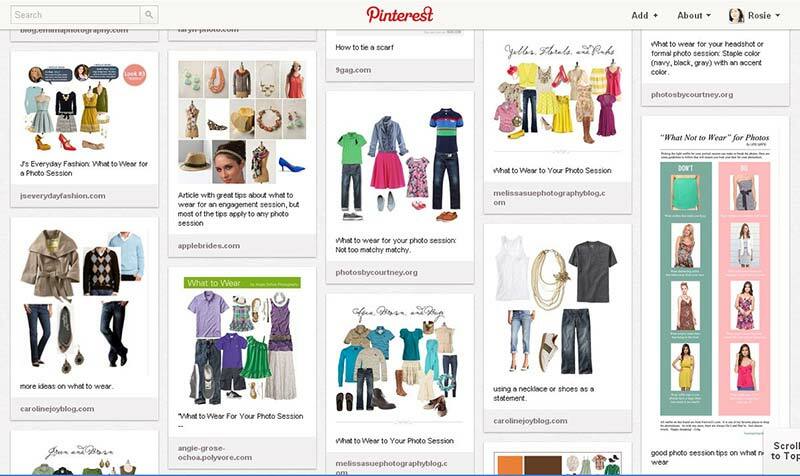 I've created a wonderful visual resource of inspiration on Pinterest - click to view What to wear. ...just remember to be You and let the real You shine through. Let the lens make that connection with your eyes and let your photographer tell tour story!